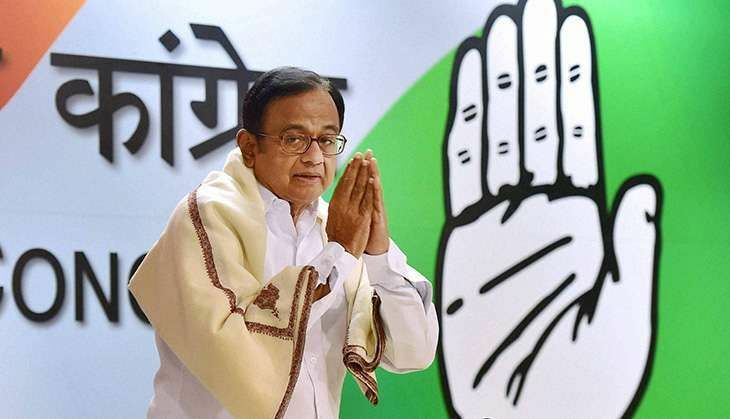 Continuing its attack on the Narendra Modi-led NDA government over demonetisation, Congress on Friday fielded one of its best policy minds - senior leader and former finance minister P Chidambaram. Chidambaram used strong words to condemn the whole note ban exercise and claimed it to be the "single biggest case of total mismanagement, administrative collapse and widespread corruption". The former finance minister alleged that the whole exercise was undertaken without any foresight and planning, and key officials were not consulted before the decision was made. He accused the government of not understanding the crucial role of money in circulation and without assessing the capacity of the currency printing presses to supply new notes. Taking a sarcastic dig at the prime minister's statement that through note ban the government has destroyed the world of terrorism, drug mafia, human trafficking and underworld, Chidamabaram said, "It is therefore fair to expect that all the above objectives will be achieved by the end of today." With only few hours left before the prime minister's assurance that woes of demonetisation would end by 30 December, the former finance minister wasted no time at taking veiled digs at Modi and said, "It is fair to expect that beginning Monday, January 2, 2017, all restrictions on money imposed on November 8, 2016 will be removed and the people will be able to withdraw the money in their bank accounts. "It is fair to expect that there will be no queues outside bank branches and ATMs. It is fair to expect that all ATMs will be open round the clock and fully stocked with currency notes. It is fair to expect that the bank branch will pay out the money written on the cheque and not direct the drawer to write another cheque for a smaller amount." Chidambaram wished he could hold out assurances on these matters and said that since the prime minister has dubbed the opposition as supporters of black money hoarders and tax evaders, Modi is the only one who could make assurances. "The only person who can assure the people on these matters is the Hon'ble Prime Minister and I would urge him to do so. When the Prime Minister addresses the nation tomorrow or on any other day, the people expect that he will make a categorical announcement that all restrictions on money have been ended." Reiterating his earlier stand that stamping out black money and putting an end to corruption would not be possible solely through currency ban, Chidambaram pointed how the events of the last 50 days have proved him correct. "Hoards of black money in new Rs 2000 notes have been found. Bribes have been given and taken in new Rs 2000 notes. There is no guarantee that black money will not be demanded or generated in future or that bribes will not be given or taken in future in the new currency notes. Seizure of new notes shows corruption at RBI, currency chests and banks," the former finance minister said. Accusing the government of trying to change the narrative from black money and corruption to a cashless economy, Chidambaram added that no economy can become - or has become - totally cashless and said, "We support encouraging high-value transactions to adopt the digital mode, but to insist that even low-value transactions should go cashless is an absurd and undesirable goal. There are serious issues of privacy and cost to the payer and the payee. These issues require serious debate." When asked to respond to Finance Minister Arun Jaitley's statement that no untoward incident has happened in the country since demonetisation came into effect, the senior Congress leader claimed that there is a mistake in assuming that people who are patient are not angry. The former finance minister also attacked RBI Governor Urjit Patel and said that what Patel's predecessor couldn't decide for several years, "he did it in 62 days". Giving further details of the meeting of the RBI Board on 8 November, Chidambaram said the RBI Board met at half past 5 and the meeting lasted for 30 minutes. "RBI Board should have 14 directors but they haven't filled 10 posts in the last 2.5 years. Only four non-official directors were invited to the meeting and only three turned up. So, I want to know how these three wise men and the RBI Governor reach at a conclusion in 30 minutes that 86% of the currency should be demonetised?" he added. Chidambaram went on to seek information on what was placed before the board; what was the agenda of the meeting; what facts were placed and discussed; and whether there was any dissent? "RBI is obliged to disclose what happened at that meeting? ...It appears to me that it was not a process that took natural course but a command performance where everything was pre-scripted and everybody was asked to play their role," he said.